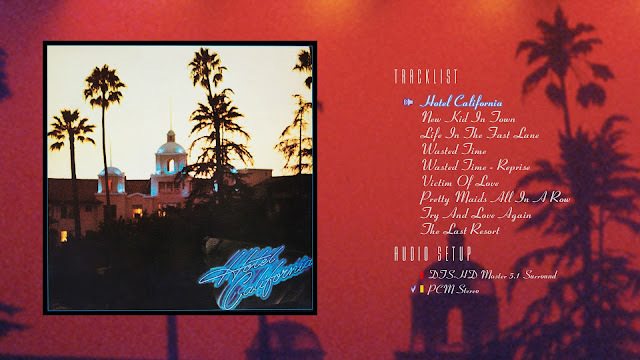 2017 concluded with yet another spectacular reissue in the form of Hotel California in 5.1 Blu-ray. While previously released as a DVD-Audio in 2001 (and for sale on eBay for $139 today - WTH? ), this new 40th anniversary edition is available as a 2-CD + Blu-ray set, and includes previously unreleased live recordings (CD-side only). After 40 years, this record - and especially Elliot Scheiner's exceptional surround remix - is worth another listen. I hope your company will continue to be involved in authoring Blu-Ray audio discs for these Rhino releases. Very good work on this release, "Best of the Doors", and especially on the Chicago Quadio set!